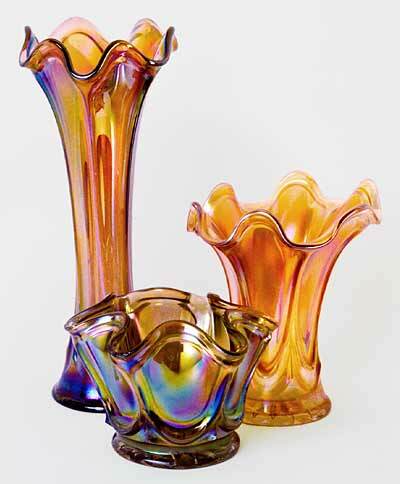 Parlor Panels vases have a 3 3/8 inch base with a 16-point star. Normal heights range from 6 to 12 inches. Sometimes found unswung (but ruffled) in examples about 4 inches tall.